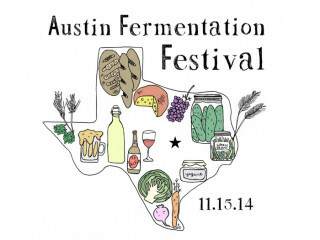 Texas Farmers' Market, Whole Foods Market and Le Cordon Bleu College of Culinary Arts Austin are proud to announce the Austin Fermentation Festival with keynote speaker and fermentation expert Sandor Katz. This is a free educational event will include a series of fermentation workshops, a community culture swap, fermented foods and product vendors, book sales, food for purchase, fermented beverages, a vegetable farmers' market and live music. You can also purchase tickets for the AFF after-party and Sandor Katz meet-and-greet at HausBar Farm.